[PDF] English for Business Communication Teacher's book (Cambridge Professional English) | Free eBooks Download - EBOOKEE! 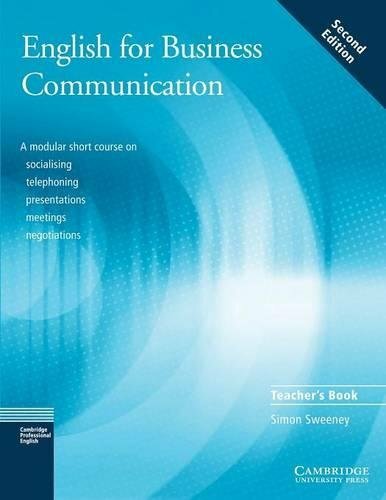 Description: This short course is for learners who need to improve their ability to communicate when socialising, telephoning, presenting, taking part in meetings and negotiating. The course aims to build confidence and fluency by encouraging students to analyse tasks and take part in practice activities. This second edition has been redesigned and now includes a page of self-study tasks for each of the 15 units. No comments for "[PDF] English for Business Communication Teacher's book (Cambridge Professional English)".